As we’ve previously seen, 3D printing is rapidly expanding beyond prototyping into production. However, this transition is not without its challenges, with process repeatability and quality assurance being two issues cited by many manufacturers. 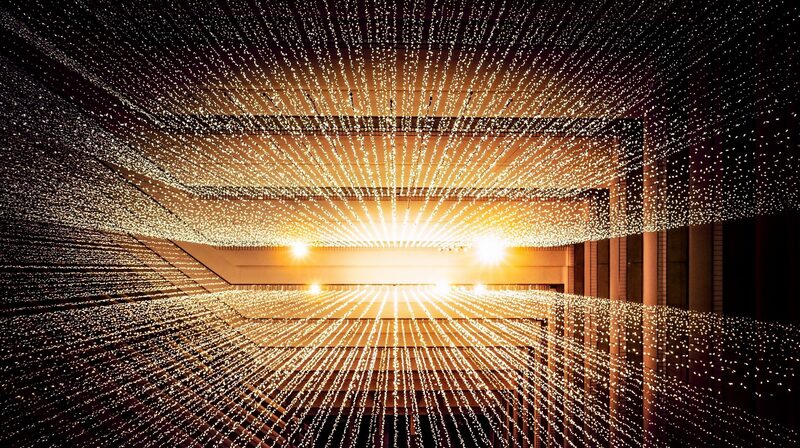 It’s therefore unsurprising that manufacturers are looking for ways to optimise AM processes in the pursuit of greater repeatability and reliability. Simulation software could be one way to achieve this. By enabling consistency and higher-quality parts, simulation is one tool that can further improve AM processes. We’ve therefore put together a list of 10 software companies offering innovative simulation solutions for AM production, along with their key features. But first, let’s find out why simulation is important for additive manufacturing. Achieving successful 3D printed parts requires an understanding of design and production processes. Metal parts, for example, can have poor mechanical properties due to porosity or become deformed because of residual stresses. In the case of plastics, parts can warp, fail or have issues with bed adhesion. While adopting a trial and error method has been a common approach for companies searching for a repeatable process, this can involve modifying printing parameters multiple times before a successful print is achieved. Greater chance of success: Simulation software can help to avoid failed prints by evaluating the design and performance of a part. A better understanding of AM processes: With 3D printing process simulation, it becomes easier to understand key variables like print orientation, laser power and speed, the location of supports – and how they affect the parts being printed. Optimising production: As simulation helps to reduce the probability of part deformation, the speed of production and post-processing can be increased and the printing process made more repeatable. Reduced costs: Part simulation can reduce the overall cost of additive manufacturing by minimising material waste caused by failed prints. What’s offered: The Additive Print software from US-based engineering simulation company ANSYS helps to validate the design of metal parts by predicting various elements of the printing process. For example, the software can help visualise the fabrication of a part, giving insights into potential distortions and areas of a part that may be affected by residual stress. The software can also be used to automatically create optimal support structures and generate distortion-compensated STL files. In addition to its Additive Print solution, ANSYS also provides Additive Suite and Additive Science. The former includes additional capabilities like topology optimisation and thermal analysis. The latter is used for fine-tuning machine and material parameters as well as for microstructure simulation, which helps to understand the properties of the final printed part. What’s offered: Developed by US-headquartered Flow Science, FLOW-3D is capable of simulating aspects of various 3D printing processes, including powder-bed fusion, DED and Binder Jetting. With powder-bed fusion technologies, FLOW-3D can be used to simulate powder distribution, the laser melting of powder, melt pool formation and solidification. By doing this, users can accurately evaluate thermal distortions, porosity and other issues affecting the quality of a 3D-printed part. FLOW-3D can be a useful tool for research labs and academic universities developing new metal powders for additive manufacturing. With a multiphysics approach to the printing process, the FLOW-3D offers valuable process insights which help to optimise printing parameters and provide a better understanding of powder microstructure. What’s offered: COMSOL Multiphysics® software, developed by Dutch company COMSOL, aims to optimise the additive manufacturing process for both plastics and metals. The software helps to predict the mechanical and microstructural properties of the final product like final shape, deformation, and stress levels. By modelling and evaluating process parameters, COMSOL’s software identifies the best printing strategy and part geometry to achieve the right industrial quality for a printed part. The software could be a useful addition to research teams studying additive manufacturing processes as well as industrial users wanting to verify the quality and performance of their additively manufactured parts. 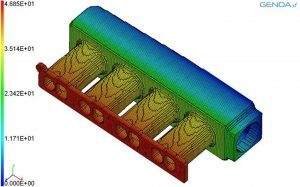 What’s offered: French company ESI has developed its simulation tool with a focus on identifying manufacturing defects, residual stresses and porosity levels. By dealing with multiple physical aspects of the printing process, ESI Additive Manufacturing can predict the behaviour of a part as it is being built as well as its final material properties and quality (for example, surface roughness and distortions) after removal from the build platform. What’s offered: Targeted at researchers and commercial users, the GENOA 3DP simulation suite can predict deformation, residual stress, fractures and voids in parts produced additively. To find optimal printing conditions, the software tool provides engineers with a platform to replicate AM material and process parameters and assess the weak points of those parameters. While GENOA 3DP was originally developed with thermoplastics in mind, the simulation tool has been recently updated to add metal AM simulation capabilities. What’s offered: Digimat-AM is e-Xstream’s solution for the simulation of 3D printing processes in plastics and composites. Digimat-AM software boasts a built-in materials database, which enables the calculation of mechanical, thermal and electric properties of a material, as well as the warpage, residual stress and porosity in a part. One interesting feature of Digimat-AM is the ability to analyse part performance as it relates to the orientation of apart during the printing process. This feature is particularly important for FDM, where the Z-axis of a part is usually much weaker than the X- and Y-axes. By using the simulation data, engineers can find the best printing orientation to ensure that the areas for which strength is essential are printed along the X- and Y-axes. What’s offered: Amphyon, developed by German start-up Additive Works, focuses on metal 3D printing processes. Amphyon can simulate various stages of the additive manufacturing process, from the printing process itself to post-processing steps, like the removal from the build plate and secondary heat treatment. The software is suitable for companies learning how to deal with common metal 3D printing issues and looking for ways of optimising production. 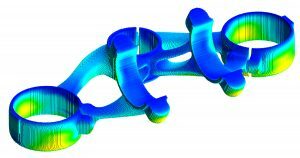 For example, with the help of the simulated build-up process, stresses and part deformations can be calculated and factored into a new, defects-free design of a part – thus achieving higher part quality and more process stability. What’s offered: Simufact Additive is a cloud-based software suite developed by German simulation software specialist Simufact. It offers a set of tools to reproduce the key metal AM processes and subsequent steps such as heat treatment. The software helps the user to identify the best build orientation, optimise support structures automatically and identify potential manufacturing issues. One feature we find particularly compelling is distortion compensation. This refers to the automatic optimisation of a part’s distortion by defining tolerable deviations and then generating the geometry with the minimal deformation. By using this tool, designers and engineers can avoid costly test prints. What’s offered: Autodesk is one of the leading software developers for 3D printing. In addition to its well-known generative design feature, Autodesk Netfabb offers simulation tools that can predict the thermal and mechanical behaviour of parts, identifying deformations in a virtual environment. With its cloud-based capabilities available in Netfabb Premium and Netfabb Ultimate, the simulation can be performed on complex parts much faster than with local solvers. What’s offered: SIMULIA is a software product used to optimise the printing process through simulation, as well as predict part distortions, residual stresses, and microstructures in metal and composite parts. The software encompasses a set of tools that help to overcome the issue of predictability in machine builds. For example, SIMULIA software can be used to simulate the microstructure of a material, capturing any changes in the material that might happen during the printing process. The simulation results can then be applied to select the best material for a specific application. Companies using additive manufacturing for production are increasingly recognising the value of simulation for all aspects of the manufacturing process. As seen from the list, many software companies target their solutions at metal 3D printing, which has seen an explosive growth in recent years. For metal AM, simulation not only helps to understand better evaluate and understand the printing process, but it also pushes the technology towards greater repeatability and accuracy, overcoming a costly trial and error approach. In the future, we expect simulation software to become more precise in predicting issues, especially in metal 3D printing, and capable of correcting defects and optimising printing parameters. As additive manufacturing also moves towards greater automation, simulation software will be one of the crucial factors in accelerating this transition and building the foundation for smart, highly optimised additive production.